Barcelona, the largest Metropolis on the Mediterranean, is defined by its Spanish and Catalan gastronomy, imaginative fiestas, awe-inspiring art and its spectacular architecture. 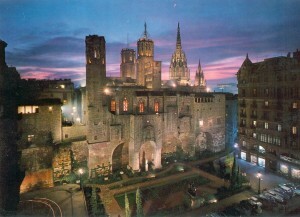 As one of the world’s most popular tourist destinations, awarded “best beach city” status by National Geographic, home to the Modernisme movement, with many buildings dating as far back as Roman and Medieval times, Barcelona’s history is rich meaning there’s just so much to see during your stay. 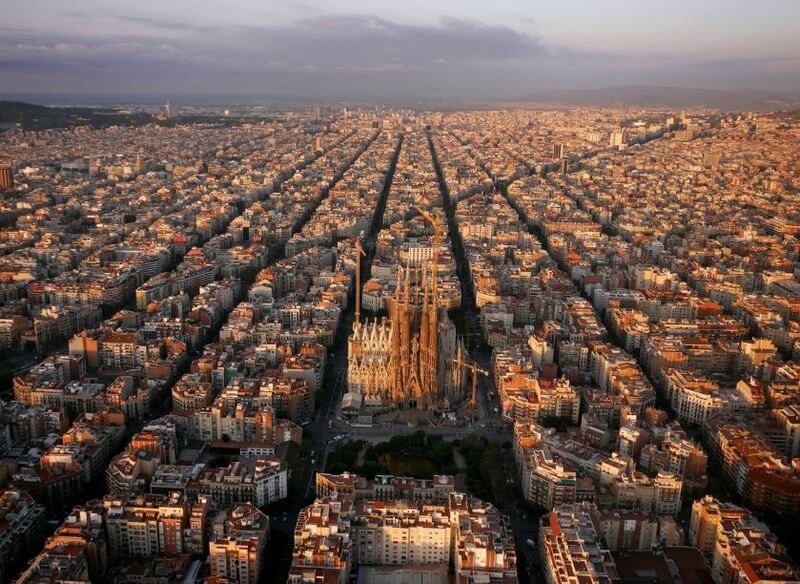 To help you out, we’ve hand-picked our top 6 must see attractions in Barcelona. Ah, the beach! 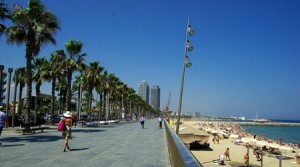 Barcelona’s beaches are amongst the top attractions in the city. Blessed with 4.5km of golden sands, and nine separate beaches to choose from, there’s no doubt you will find the perfect spot to soak up the Spanish sun. The most popular beach, Barceloneta, is loved by locals and visitors alike. As we mentioned earlier, Barcelona has even been awarded “best beach city” status by National Geographic. Stumble upon hidden gems as you stroll down the back streets of this historical part of town. The Gothic Quarter has an authentic feel with its winding alleyways and unique boutiques, and it’s the perfect place to get lost in Barcelona’s rich history. The Barcelona Cathedral, Roman ruins and the Catalan-Gothic architecture are just some reasons why the Barri Gòtic should be a must during your time in Barcelona. Antoni Gaudí’s most noteworthy piece of work, although an unfinished masterpiece, La Sagrada Família is truly a striking masterpiece and was named the top landmark in Europe for 2015. From its powerful exterior to its colourfully detailed interior, this basilica is a must see during your visit to Barcelona. 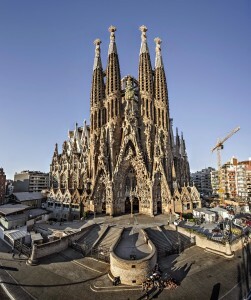 Be sure to bring your camera as the Sagrada Família won’t look the same next time you make your way to the city. Construction has been ongoing for over 100 years, funded solely by public donations and entry ticket fees, but it is scheduled to be completed around 2026. 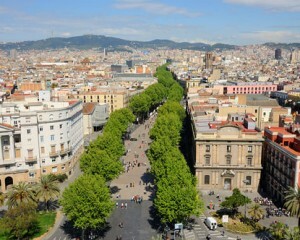 This 1.2km long promenade, filled with souvenir shops, local boutiques, the famous La Boqueria Mercat and many top restaurants, is the second most walked down street in Barcelona, next to Portal de l’Ángel. Connecting the central Plaça de Catalunya to the Christopher Columbus Monument at Port Vell, La Rambla is a must see for those wanting to explore the very best of Barcelona. 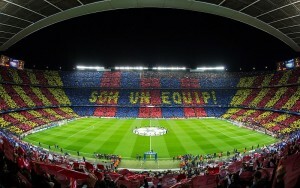 A vast part of life in Barcelona is football. Visiting the FC Barcelona stadium and their historic museum is a must for many football fans. If you can squeeze in some time to catch a game, even better! Walk in the footsteps of many Barça legends, of past and present, on the “Camp Nou Experience” tour – granting fans an even greater understanding of the driving force behind the team. You’ll get an exclusive access pass to areas of the stadium including the dressing rooms and the pitch. 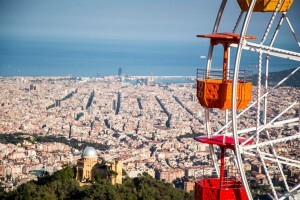 Catch the short funicular-train ride up to one of the oldest amusement parks in Spain atop Tibidabo Mountain. 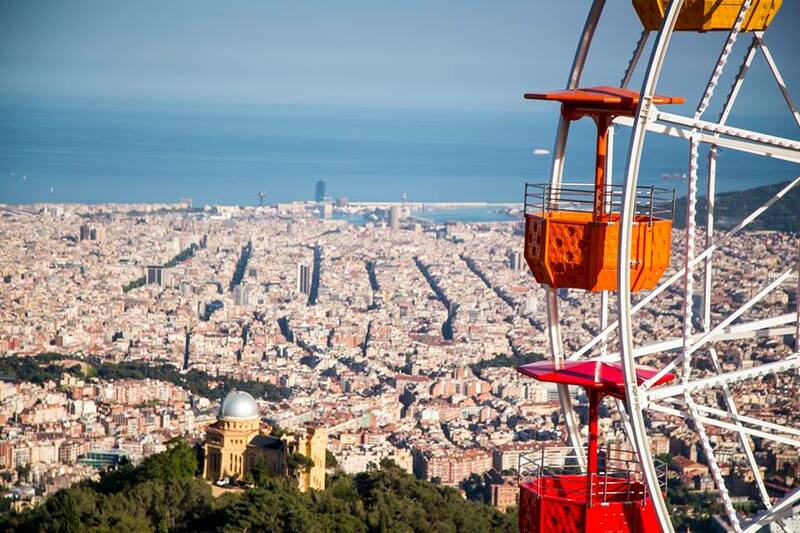 Enjoy 360º panoramic views over the city from the top of The Temple de Sagrat Cor or, if you’re feeling adventurous, hop on the Ferris wheel or one of the park’s roller coasters. This entry was posted in Home, Places, Things to do, Tourist Guide and tagged barcelona, barcelona architecture, barcelona attractions, barcelona beaches, Barcelona culture, barcelona tourist guide, barceloneta, barceloneta beach, sagrada familia, things to do in barcelona, tourism in barcelona, visiting barcelona. Bookmark the permalink.